“Car dealers shouldn’t sell used cars that have a safety recall to consumers, period. Far too many times we have seen the tragic and often fatal consequences when deficient cars are allowed on the road, and it’s time for the FTC to do everything it can to put a stop to it,” said U.S. Senator Charles E. Schumer (D-New York). “CarMax is playing recalled used car roulette with its customers’ lives,” said Rosemary Shahan, President of Consumers for Auto Reliability and Safety (CARS), which spearheaded the petition. CARS is a national non-profit auto safety and consumer advocacy organization based in Sacramento, California. Tyler Kidd, Counsel for CarMax, testified on Tuesday, June 17, before a legislative committee in Sacramento, and repeated CarMax’s claim that the safety recall system for handling used cars “is broken.” He called for federal legislation to force auto manufacturers to allow non-franchised car dealerships like CarMax to perform auto safety recall repairs. Under federal law, auto manufacturers are responsible for performing safety recalls, and work closely with their franchised dealers to oversee the repair process, often including providing specialized training for their dealers’ auto technicians. CarMax can have recalled cars repaired free of charge by authorized franchised car dealers. The fact that CarMax is not permitted to make the repairs itself is no excuse for selling consumers unsafe, recalled cars– particularly when CarMax advertises them as “Quality Certified” and as having passed a rigorous inspection. In addition, CarMax’s claims it cannot find out about vehicles’ safety recall status ring hollow. According to the National Highway Traffic Safety Administration, it is easy for car dealers to check the safety recall status of used cars. In addition, as CarMax concedes in its letter opposing SB 686, NHTSA issued a final rule that takes full effect this August 14, to require ALL auto manufacturers who produce more than 25,000 vehicles a year to provide free, publicly accessible, VIN-searchable safety recall data on their own Websites, updated at least every 7 days. On May 19, the CarMax store in Irvine, CA, sold Clarence and Angela Davidson a used 2010 Dodge Ram. The couple had chosen to buy from CarMax because they have a 12-year-old daughter and 5-year-old grandson, and wanted a truck that was safe. But within days, when the Davidsons contacted Chrysler about a feature they wanted, the manufacturer’s customer service representative informed them that their newly purchased truck was under a federal safety recall and had a serious safety defect. When they tried to return the truck, CarMax told them they owned it, and it was up to them to get the safety recall repaired. “I feel like CarMax is saying that our lives aren’t worth anything, because we’re not buying a new car,” said Angela Davidson. The Davidsons took the truck to a Chrysler dealership to have the safety recall repairs performed. A few days later, on May 30, when the Davidsons were riding in the Mojave Desert with their 12-year-old daughter in the back seat of the cab, the truck fell apart and caught on fire. Clarence pulled their daughter out of the back seat just seconds before the entire truck exploded into flames. The fire burned several acres and authorities closed the highway for about 4 hours. The charred remains of the truck have not yet been inspected by an expert, so it’s not clear at this time whether the safety recall caused the incident. However, it is clear CarMax sold the Davidsons an unsafe, recalled truck. 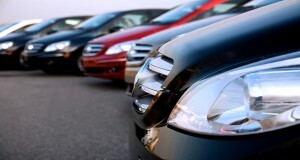 CARS warns used car buyers to always check the Vehicle Identification Number of any used car they are considering BEFORE they agree to anything. Consumers can find up-to-date safety recall information on most auto manufacturers’ websites, or by calling the manufacturer’s toll-free number or a local dealer, and providing the VIN.